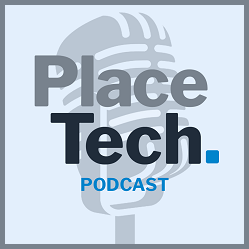 PlaceTech | The UK's smartest cities: who's doing what? The UK’s smartest cities: who’s doing what? We know smart cities are the future, but how can we achieve them? The Mayor of London’s efforts to embrace the latest technology may be the focus of most UK smart city coverage, but it is not just the capital that is making significant progress in this field. Here are some of the UK’s smartest cities whose local authorities are leading the way, with some technologies and initiatives developed by them being studied globally. Glasgow was an early adopter of smart city tech, after securing £24m in funding from Innovate UK back in 2013. This money was used to turn the Scottish city into a future city demonstrator, covering aspects such as big data collection, to making Glasgow more energy efficient, and improving security services. The efficiencies generated from the smart city tech has saved Glasgow City Council £144m to date. The Glasgow Operations Centre, created as part of the initative, is an integrated traffic and public safety management system. This provides a co-ordinated, real-time, intelligence-led response to incidents large and small across the city. Glasgow’s open data catalogue currently spans 60 organisations in the travel, energy, tourism, public safety and education sectors among others. The data is available as 400 open datasets. These are freely available to the public and can be used by anyone to create new and innovative solutions in the future. Ahead of HS2 rail, the UK’s ‘second city’ is working hard to cement itself as a leader in tech. 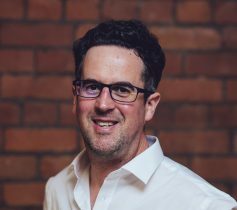 Birmingham’s main smart city project is the ambitious Big Data Corridor, which connects Birmingham and the Solihull area to examine the impact of using big data to form new products and services. The platform will combine open data from various sources – transport, energy, healthcare and other sectors – with data from Internet of Things devices such as smart lighting. The city has also developed Smart Routing technology through its Commuter app, which uses IoT, Internet of Things, technology to share transport data and create up-to-date, personalised travel plan for residents and visitors, even without mobile data. The app can predict the user’s next journey, for example to work, and will suggest the most efficient way to get there. Manchester’s CityVerve partnership concluded this July, after 2 years of exploring smart city possibilities. The CityVerve demonstrator was established with a 2-year remit to demonstrate the capability of IoT applications and address barriers to deploying smart cities. CityVerve examined the fields of transport, health and social care, culture, and energy and the environment. Its projects included harnessing real-time public transport data, monitoring air quality, exploring smart building management, and testing how IoT devices can ease pressure on healthcare services. One of Manchester’s most futuristic smart city creations is the Buzzin app, developed with local tech firm Sparta Digital. 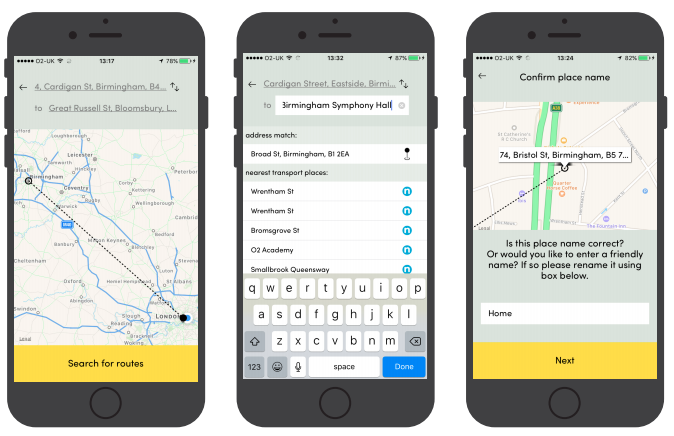 The app uses Augmented Reality to map out important locations such as cash machines and public toilets and project a map for users. Buzzin has also been deployed to make seasonal entertainment such as the Christmas Markets and Chinese New Year more interactive through Augmented Reality. The ‘Bristol is Open’ programme was created to offer City Experimentation as a Service (which carries the catchy acronym, CEaaS) to companies that develop networking, connectivity, IoT, rich-media and other smart-city solutions. Key to this is the city’s advancements in connectivity, with 3 different networks powering Bristol’s digital infrastructure. The first is a fibre network running underneath the streets. 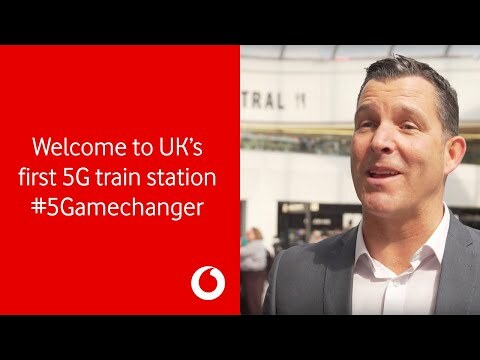 The second is the ‘wireless mile’, where a trial experiment using 5G equipment that’s capable of transferring a gigabyte per second is being tested around the centre of town. The third network is an IoT mesh that uses a range of self-regulating advanced wireless technologies across 1,500 street lamp posts. The mesh was created with the intention of turning Bristol into a testbed for IoT devices to be implemented at scale. 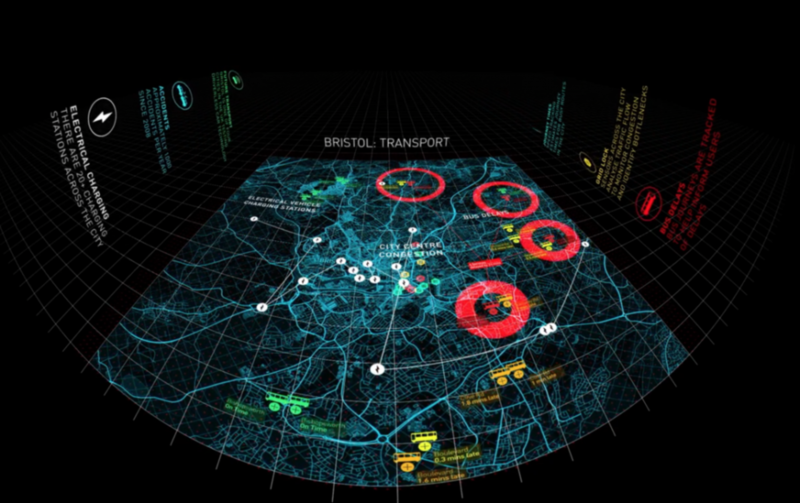 Also unique to Bristol is its Data Dome, the UK’s only stereo 3D hemispherical screen with 4K resolution. This was created to provide a platform to visualise complex experiments and create virtual reality environments using an incredibly fast 30GB per second fibre network. 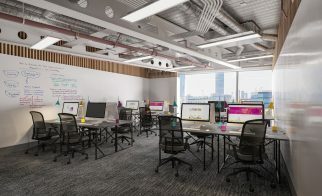 October 2018 will see the UK’s first ‘Smart Hubs’ rolled out in Belfast city centre. 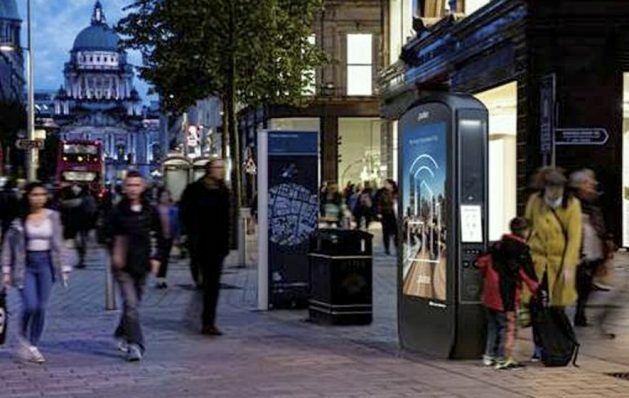 The 20 hubs created by London company Pulse will provide free Wi-Fi, mobile phone charging and public information messages, as well as data capturing services monitoring footfall and pollution levels. They also provide an instant link to emergency services and a defibrillator. Autumn 2018 will also see Belfast test the UK Space Agency’s Space for Smarter Government project, which uses satellite technology to monitor pollution levels. This unique initiative will use machine vision cameras and air quality sensors to gather traffic and air quality data. Smart Belfast suggests this data could then be used for a phone app to help residents choose the ‘cleanest’ routes.